We provide premium NZ cPanel hosting! Take advantage of Wordpress today! Get Started With Premium Web Hosting! 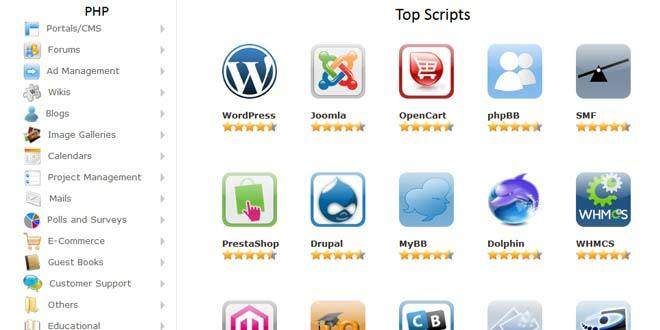 cPanel is the most powerful website management software available. With cPanel you can manage files, business email accounts, domains, backups and more with an easy to learn interface. One of the best features of cPanel is you can access your administration interface from any device with an internet connection and a browser. Here at Lexnet we take pride in providing the best support for any issue you may encounter. Our customers have access to a ticket system where you can easily submit any issue you are having with your hosting or domain. We do our best to solve most issues within 24 hours of a ticket being submitted! I have worked with Alex and Lexnet for several years extensively on several large Wordpress based websites, these include ShopDental, Do Gooder and OneDental all of which are hosted with Lexnet. ShopDental is a large multivendor site, Lexnet developed many features specific for ShopDental, including a unique cart and check out system that I required as well as hosting a dedicated VPS that is extremely quick and hosts all of my sites! I found Lexnet to be a massive lifeline for my website. They were always available no matter the time of day and I know they worked late hours and weekends trying to restore my website to be fully functioning. Lexnet are most pleasant and easy to deal with – made explanations of quite complicated and complex matters – very easy to understand. I found I had such peace of mind knowing that Lexnet was on the job and could and would fix any issues – I just left them to it. It meant I could breathe! Jobs were done in a timely manner and their pricing was most fair. The hosting we have been provided by Lexnet has been amazing! They provide me with very fast and friendly service. I have been hosting with lexnet for 4 months and have not had any issues but the customer care is great! Highly recommend Lexnet for any of your website needs! We provide premium web hosting and design services in New Zealand for businesses of all sizes.